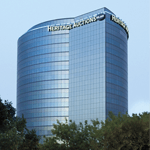 Consign your material to be auctioned alongside these items on Sunday, July 14, 2019 in Dallas, TX. Consignment Deadline for this auction is Monday, July 1, 2019. Journey Into Mystery #100 (Marvel, 1964) CGC VG+ 4.5 Off-white pages. Thor battles Mr. Hyde. Jack Kirby cover and art. Overstreet 2016 VG 4.0 value = $70. CGC census 9/16: 19 in 4.5, 191 higher.